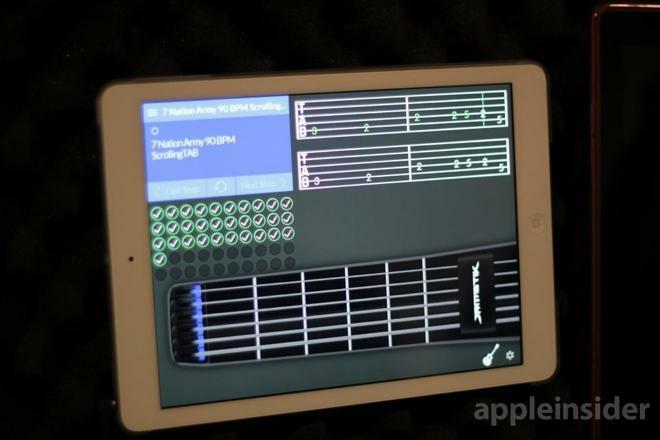 The JamStik is an upcoming wireless accessory for both iOS and Mac that will allow users to learn and practice guitar on the go, without the need to carry around a bulky full-size instrument. AppleInsider got an opportunity to take a first look at the unique new accessory at the 2014 Consumer Electronics Show on Wednesday. 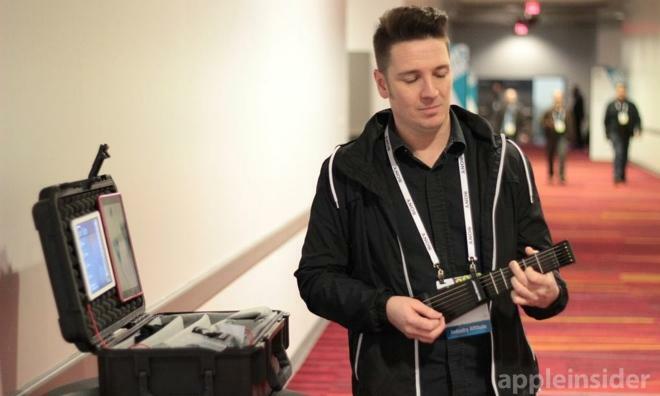 Chris Heille, music product specialist with JamStik maker Zivix, said the the company's miniature electric guitar is scheduled to ship in March and retail for $299.99. The device uses both infrared and piezo sensors to detect fretting, strumming and picking while users play. By featuring real strings that can be pressed, strummed and bent, the JamStik aims to offer users an authentic guitar feel, while still providing a compact and portable design. The accessory is a network MIDI controller that will work with iPhone and iPad, as well as Mac, meaning it will sport out-of-the-box compatibility with existing music applications, such as Apple's own GarageBand. 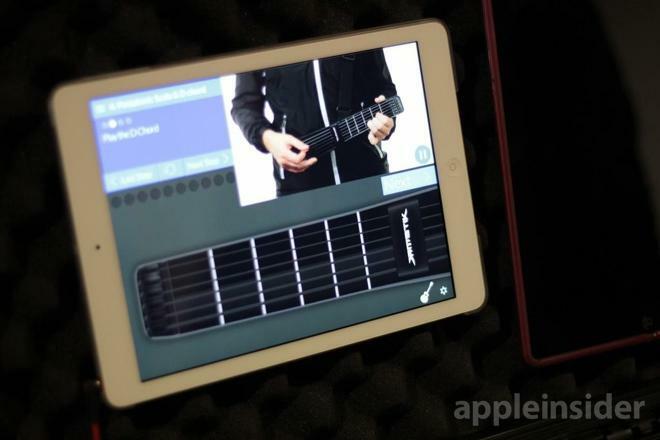 The accessory will work with at least two applications on the iOS App Store, dubbed JamMix and JamTutor. The tutoring application will provide users with guitar lessons, covering everything from individual strings and notes to chords. 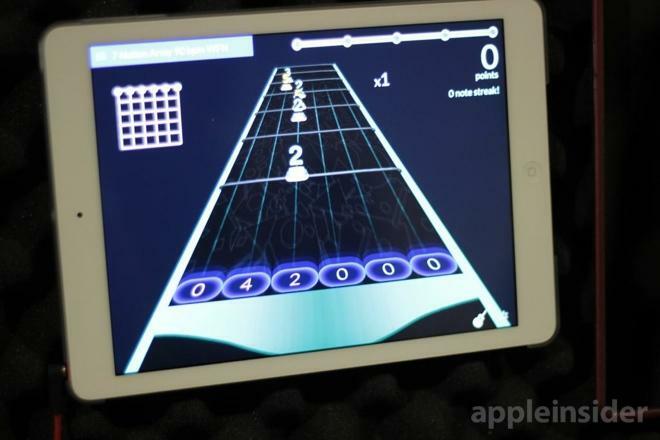 The application will also include song tablature, and a "Guitar Hero" style learning mode is also available. The JamMix application is a "hybrid DJ-guitar instant gratification music app," Heille said. Users can trigger loops by playing specific string notes, and then perform solos over those looped notes. Zivix's founder, Dan Sullivan, has been working to digitize a number of music instruments over the years. 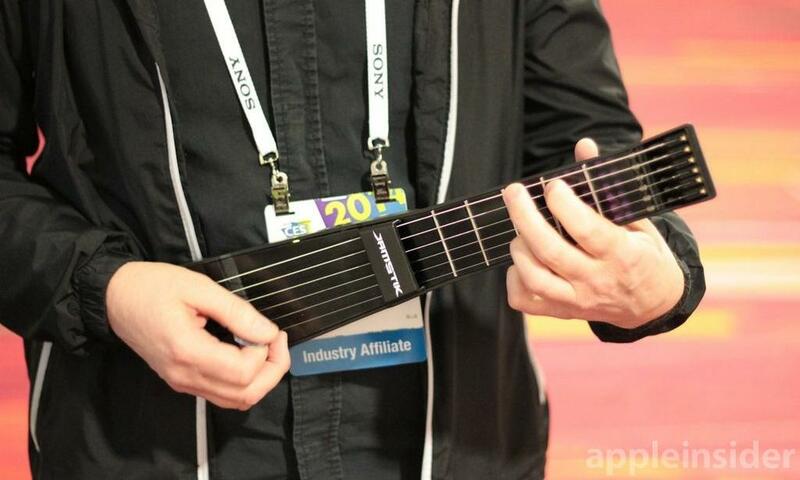 The initial concept for a digital guitar started with a full 21-fret design, but the company eventually realized that taking full advantage of digital capabilities and making a smaller connected device would help the JamStik stand out. The shipping product will measure just 15 inches long with built-in wireless connectivity and rechargeable battery, and no tuning of the strings is required. It also has a D-Pad virtual capo for octave switching. Retail partners for the JamStik have not yet been announced, but the device can be preordered from the official website for $299.99 ahead of its scheduled March launch.